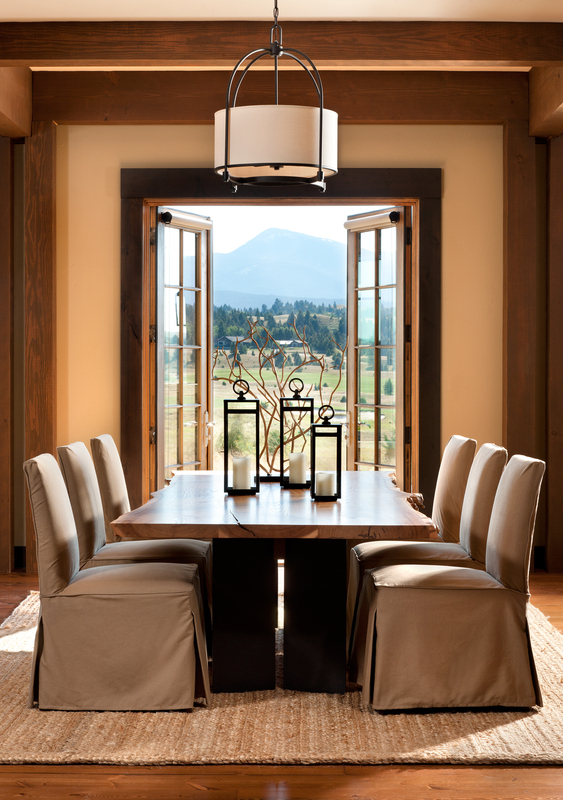 Throughout the home, timberframe construction is paired with elements of contemporary design. In the dining room, the designers took their color cues from the outdoor panoramic. The palette throughout is soft and subdued, a play of subtle hues. 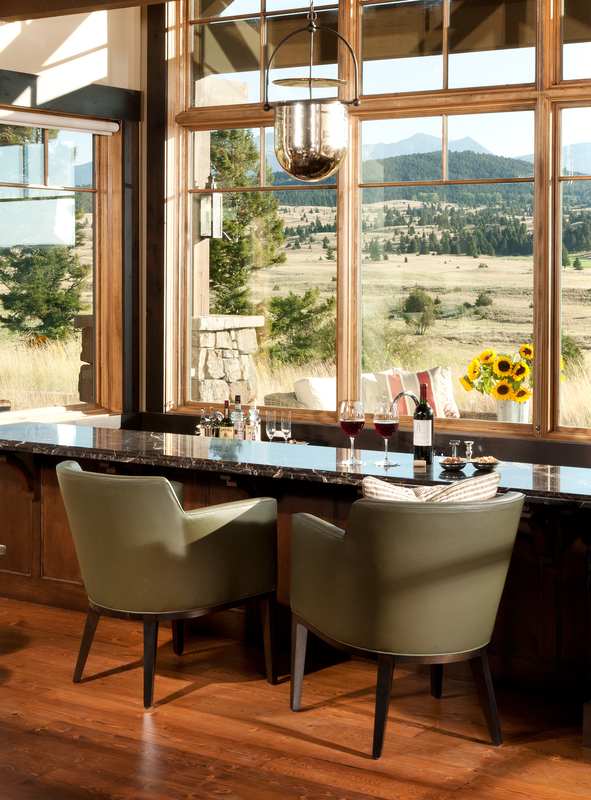 The attention to detail makes this home truly sparkle: Carefully selected fine art by Montana artists, a palette inspired by the surrounding landscape, and furnishings that are at once refined and welcoming. Eschewing the typical dark wood kitchens found in many Montana vacation homes, the designers chose light colors and tile, reminiscent of an East Coast cottage. A sunken bar affords guests a 180-degree view of the Pintler Range, as well as the Tom Doak-designed golf course.